Triple your masculine style with this dashing bracelet from John Hardy's Classic Chain collection. 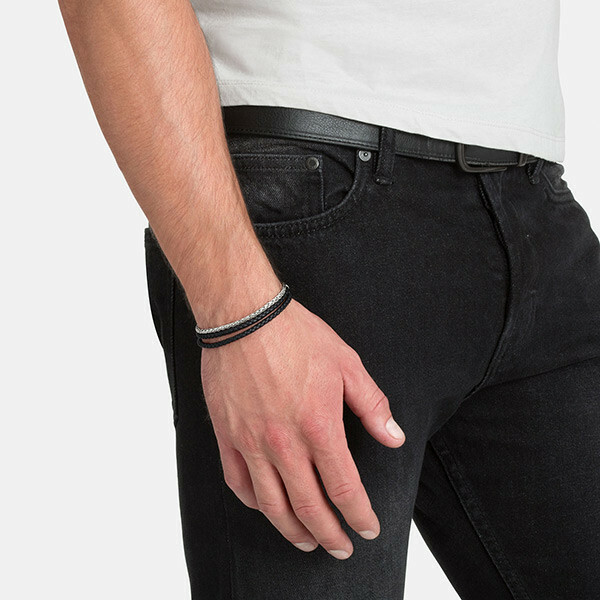 A 3mm strand of braided black leather wraps twice around the wrist and is joined by a ribbon of sterling silver handwoven in the classic chain motif. This subtle accent from John Hardy will look great with any outfit.